A washing machine that isn’t working properly can become more than just a mild inconvenience, particularly if you live in a large household and have lots of laundry to do. If you’ve noticed problems with your washer or it has stopped working entirely, don’t delay in getting help from a professional repair man. It’s best to nip the issue in the bud right away to avoid even larger and more costly problems later on. In this post, we will take a look at several common washing machine problems and what can be done to fix each one. 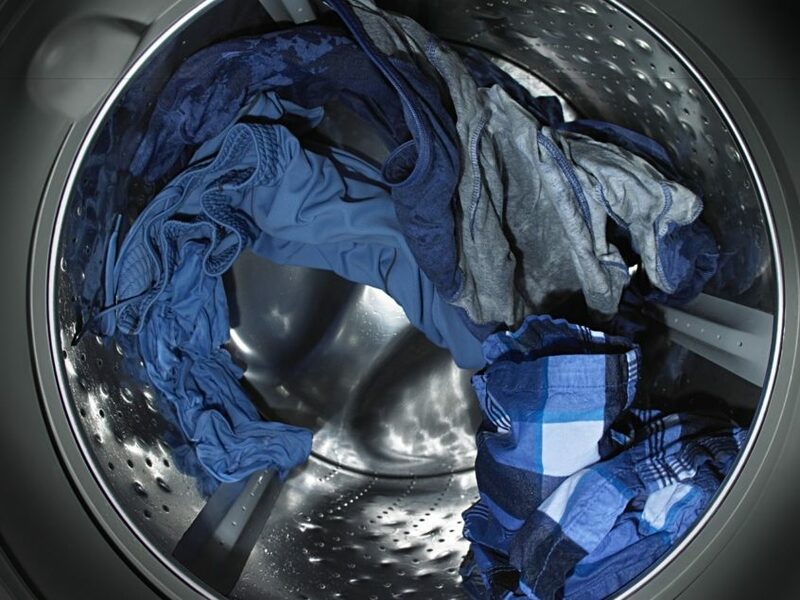 Your Washing Machine Hasn’t Been Draining Correctly: If after every wash cycle, your washing machine doesn’t seem to be draining properly and still has water stuck inside, something is clearly going wrong with the drainage system. Before trying to take on a DIY fix-it project, you have to determine what exactly is causing the drainage issue since it could be a number of different factors. Sometimes the issue could be as simple as a clogged drain hose. To find out if the hose is in fact clogged, you’ll need to remove the drain hose from the machine and take a look inside for elements that could be clogging it up. It’s a good idea to recruit the services of a professional repairman to remove and inspect the hose for you. In some instances, it might not be a clogged at all. Instead, a drainage issue could be due to kinks in the hose, lint filters that have gotten trapped in the drain hose, or a drain hose that isn’t positioned properly above the water in the drain tub. Secondly, a drainage problem might be caused by a problem with the drain pump. In either case, it’s worth talking to a professional and having them do the work for you in order to avoid future problems. Water is Coming Out of The Washing Machine: Having water stuck in your washing machine is one irritating problem and another is having water come out of the machine! If your washer has been leaking, you’ll definitely want to recruit the services of a repairman to address the problem before it turns into something more expensive or even dangerous. If you notice that the leaking only happens during the spin cycle then there’s a good chance the root of the problem can be found in the drain hose. Check for any cracks or damage in the drain hose. Also, make sure the drain hose is correctly attached to the washer and that all of the connections are properly in place. If the problem isn’t caused by an issue with the drain hose, you’ll want to check the fill hoses next. If the fill hoses are damaged or worn out from years of use, it’s time to replace them with someone that won’t cause leakage. After checking all the hoses, take a look at the water-inlet valve. If it’s faulty, worn out, or seems to have a bit of rust buildup, it may be time to call in a repairman to have them fix or replace the part. Other culprits behind a leaky washer could be a faulty door seal, drain pump, tub, or tub seal. A professional repairman will be able to determine the exact problem and get it fixed without it leading to further damage. Your Washing Machine is Making Peculiar Noises: Your washer will make some noise, but if you start to notice it making strange sounds you’ve never heard before, it’s a good indication that something isn’t right. And the problem can vary depending on the type of sound it’s making. If it repeatedly makes a weird ticking or clicking noise, there might be something stuck in the washer drain. Inspect the washing machine, the drain, and all pockets of clothing items to make sure there are no coins or other small objects that are getting thrown into the wash. Whenever you start to hear a gurgling sound coming from your washing machine, there could be something that’s blocking the drain line. Check the part for any blockage and have it removed immediately to prevent the possibility of flooding. Finally, if your washing machine is buzzing, something might be jamming up the pump. Inspect the pump and remove any elements that have gotten in its way. Your Washing Machine Won’t Spin: A washing machine that won’t spin could have several different problems going on with it, ranging from mild and simple-to-fix to painstakingly complicated. The first thing you want to do is make sure you are not stuffing the washer with loads it can’t handle. If a washing machine has too many clothes in it, it will go off balance and be unable to spin properly. Try not to overload your machine and see if that corrects the problem. Another reason why a washing machine might not be spinning could be due to an issue with one of the belts. When a belt is not in place properly or becomes worn out or damaged, it can affect the machine’s ability to spin each load. A professional repair technician will be able to determine which belt is damage and either repair it on site or replace it with a new one. The Washer Won’t Turn on at All: Fear not! Just because the washer isn’t turning on doesn’t mean it’s broken beyond repair. There are a number of factors that could cause a washer not to turn on right away. The first thing to check is the power source. This is potentially dangerous, especially if you don’t know what you’re doing. That’s why having a professional technician do this is best for the safety of you and your home. If it’s not an electrical problem, a washer that doesn’t turn on could have an issue with the motor. Finally, you’ll also want to check the time knob and lid switch in case either of those parts are causing the washer not to turn on. Are you currently experiencing issues with your washing machine? Don’t hesitate to contact us today with any questions or concerns you might have.